The lovely Callalily who blogs at BreaKINK New Ground ( A budding mixtress who makes hair potions that sound edible as well as an interest in Ayurvedic hair care) as well as Nicole at Natural Endless Beauty who is a fab make up artist from Canada both passed this award to me. Thank you lovely ladies! 1. Saarf London Girl - Fellow UK blogger on hair and beauty, the title of her posts crack me up! 2. Cotton Candy Fro - A ton of reviews mostly on hair products, a few on beauty. 3. Holistic Locs - Another UK blogger who discusses a diverse range of topics from hair, health and wellness. 4. 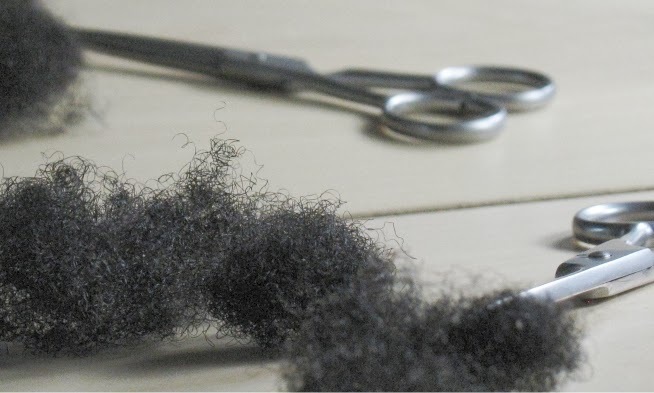 Le Cheveu Kemite par Excellence -A blog written in French all about natural hair! 5. Happy Girl Hair - Recently discovered blog by a mom (mum in English) raising her two Ethiopian girls with very different hair texture. Great if you are looking for kid friendly styles! Then to round it off, here are two more established blogs that you are probably already following but if you are not, pay a visit!! 6. Newly natural - Kcurly blogs mostly about natural hair but also has a great focus on health which I think is impressive. 7. Agrlcanmac - The lovely Milan features her hair, make up, accessories - a truly multifaceted fashion blog. Congratulations, JC! You really deserve it. I will check out all the blogs you mentioned. Now! Congratulations! You deserve an award! Just yesterday night I was silently praising you. I work in market research (in the evenings, daytime I study), and we interviewed people who work with hair professionally. I was keeping my poker face, but inside I was despairing, laughing and crying at the same time. All the myths! Like: a conditioner under 20, 30 Euro is basically trash. And so on. I am so glad there are people like you and the Beauty Brains! Congratulations! You are my hair hero! Thanks for passing this on us at HGH.